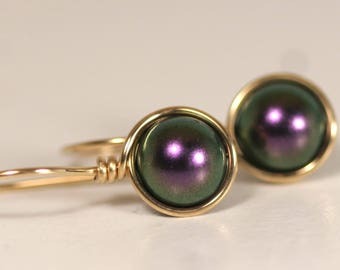 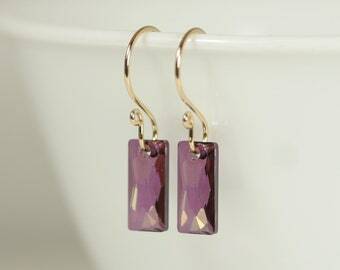 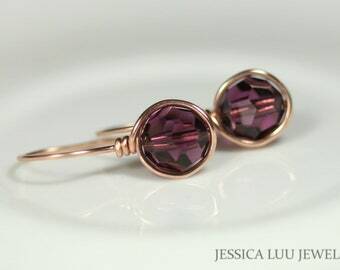 These gorgeous eggplant pearl earrings are hand crafted with 6mm dark purple Swarovski pearls and available in 14K rose gold and yellow gold filled wire. 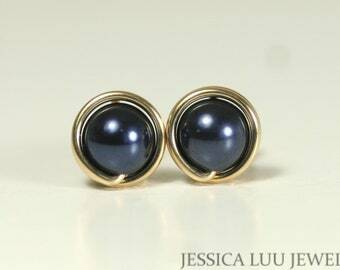 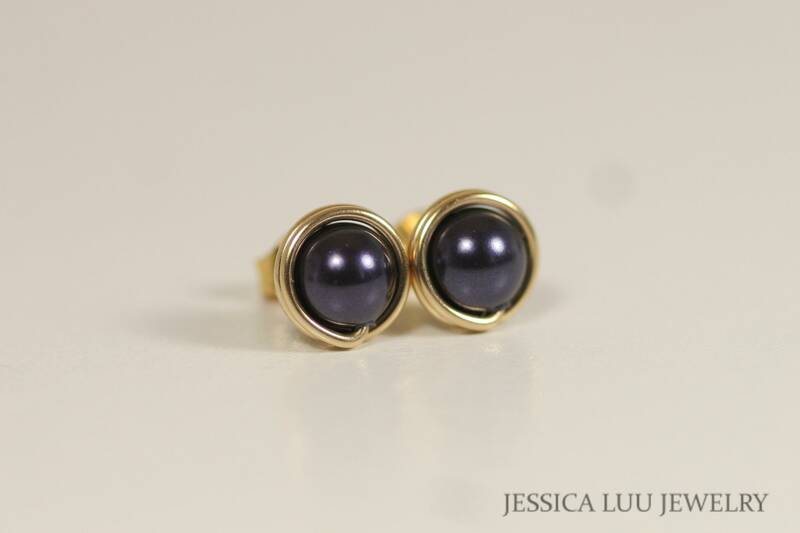 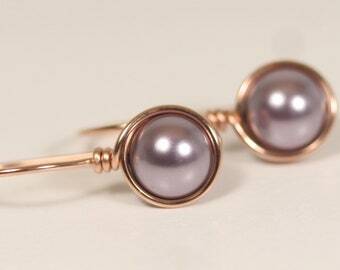 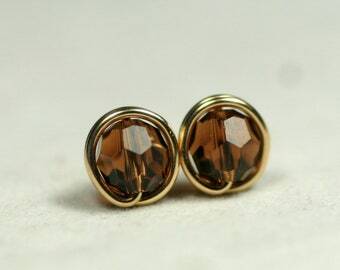 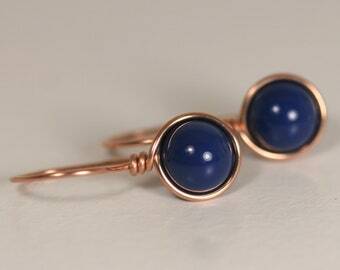 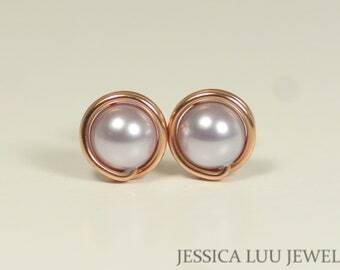 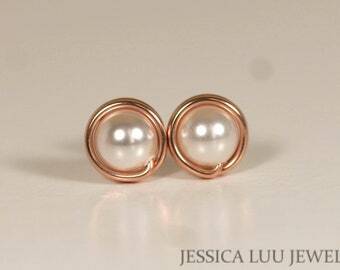 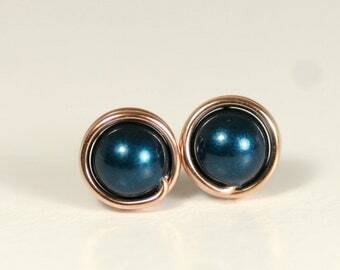 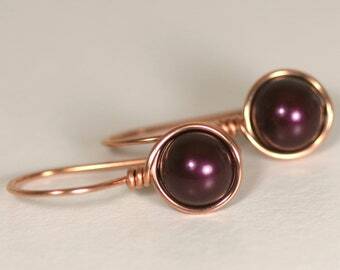 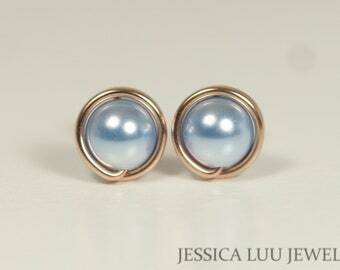 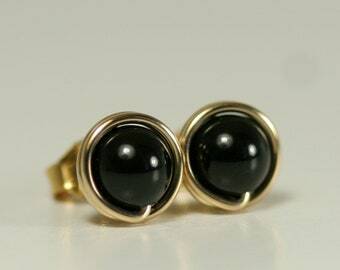 Each pearl is wrapped by hand with 14K gold filled wire which is then formed into the ear post. Gold filled wire is a hollow tube of 14 karat gold that is filled with brass for durability, so all the metal outside is 14K gold; gold filled wire will not wear off like gold plating and will last a lifetime.